I’m back from the mother land. 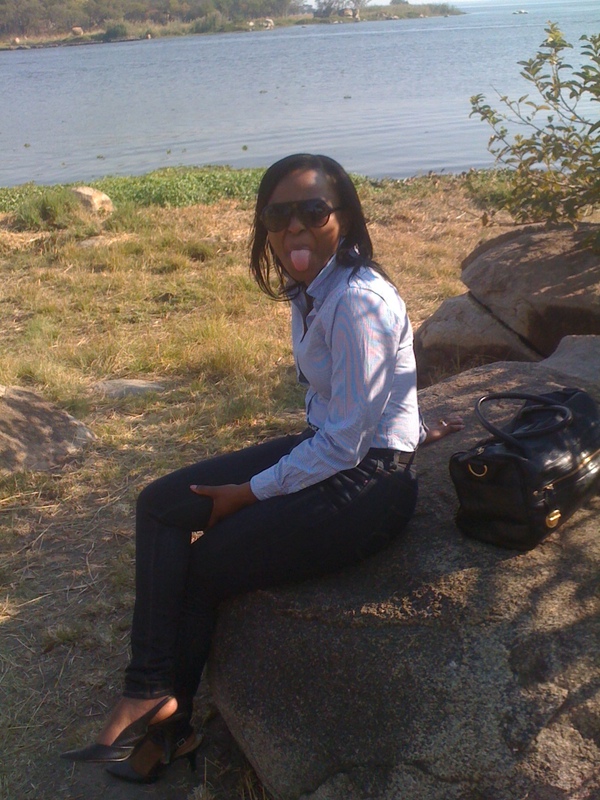 I had an exciting time in Zimbabwe. The weather was glorious (warm days and cool nights), the food was great … and the hair … well the hair was interesting. I got home without my trusted coconut oil. My hair wasn’t happy with me. First thing on my list was to look for coconut oil in the Miz. First 30minutes of my search and I FOUND IT. So I don’t understand it when people say they can’t find coconut or castor oil for that matter. Where can I buy Coconut and Castor you ask? I went to Kensington Shopping Centre and bought coconut and castor oil at KenLink Pharmacy (I think that’s what it’s called). It’s the pharmacy near ‘House of Josh’. Each little bottle cost me about $3. They were locally produced and all natural. While I was in Avondale, I thought I’d try the other pharmacies, and again, I found Castor and Coconut Oils at the main shopping centre. Not knowing where exactly it would be placed, I just asked a sales assistant. They were really helpful. So if I hear … ‘There’s no castor oil in Zim’ I will scratch my eyes out. Then a GEM. I’ve been talking about Amla and Coconut Oils from Indian stores. (You may find my business cards in this store if they are still there). At Sam Levys Village, when you walk past Edgars, to go towards Bon Marche, there’s a spice store on your right. THEY STOCK AMLA AND COCONUT OIL THERE. It’s called ZIMSPICE – Shop 43 Sam Levy’s Village. My trusted coconut oil that I lost at Melbourne Airport, is currently being sold at Zimspice. My hair thanked me. I caught a young cold a few days before I was supposed to leave. I was taken to QV Pharmacy near First Street. And they had castor oil there too. So ladies, it’s smart to check your local pharmacy. If they don’t have it, then go a bit more central. Plus these products are natural, which is great for African hair as it is very delicate. The products are also cheaper – as they are locally produced and also a very basic single ingredient with many benefits. Coconut Oil is also great as a moisturizer for your body. Coconut oil just wont disappoint. Try it today. I was unable to find sulphate free shampoos. The best I could find in Zim is the L’Oreal Elvive Shampoo range. In some salons, they are starting to stock Mizani. We’ll talk about My Salon Experiencein my next post. I hope this helped somebody! Youre the best Lani!! !Thanks….will go to the spice shop over weekend and stock up and will double check name of the shop for everyone else!! 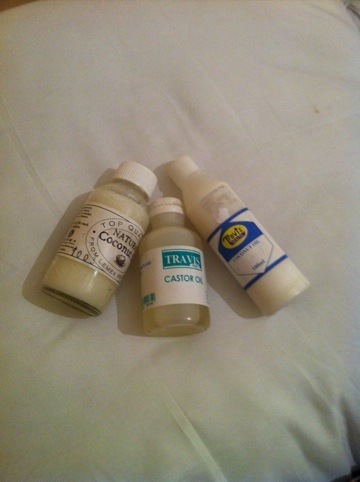 spot any Scurl Activator Moisturizer while u were in Zim?? Unfortunately I didn’t. But I know it’s around. Ladies, help please? I was surfing the net looking for natural hair products available in zimbabwe. Oh my gosh. I love u so much. I’m just over the moon that there are zimbabwean natural sisters who use the same products I use n that they are available in zim. Thank u so much. Please keep me updated. I’m currently in the UK. God bless u.
thank you so much! I am 12 days away from leaving zim and I have been looking for these produucts everywhere. Thank you so much, this has been a huge help! yay..found all of the goodies in Zimspice..thank u..so excited to start my hair journey!!!!! TM Avondale has Luster’s SCurl Activator for about $6. Coconut oil and cator oit are available in most pharmacies. . Has anyone seen shea butter. Am looking for it. which one is the best between coconut oil and castor oil for hair loss and thinning. Hey Pearl, Castor Oil would be the most appropriate …. wow this is a great blog – will ask my sisters to check out spice shop! How would you like to write shopping related articles for http://www.zimshoppingmalls.com? We are looking for content that is written by shoppers to assist other shoppers etc. hie am struggling with my hair line what should I use to repair it. You said the coconut oil and castor oil you got are locally produced. Which companies are those in Zimbabwe that are manufacturing coconut oil and castor oil?